The Kung Fu Panda movies are definitely fun. Jack Black's Panda, Angelina Jolie's Tigress, and several other animated all-stars of Kung Fu from vengeful warriors and narcissistic would-be emperors. Along the way, they struggle with identity issues. As it turns out, Po, the panda, was adopted and raised by Mr. Ping, a goose. These movies could make for excellent, helpful viewing for adoptive families. Po is a large, teenager-ish panda bear who works in the noodle shop of his father, Mr. Ping. Po is enamored with Kung Fu, and is particularly devoted to “the Furious Five” super-heroes of Kung Fu, Tigress, Monkey, Mantis, Viper, and Crane, and their master, Shifu. Tai Lung, an evil leopard who was raised like a son by Shifu, has escaped from prison, and so a turtle named Oogway, master of Kung Fu, must decide who will be the Dragon Warrior destined to defeat Tai Lung. Through what seems to be a chance accident, Po is named Dragon Warrior. 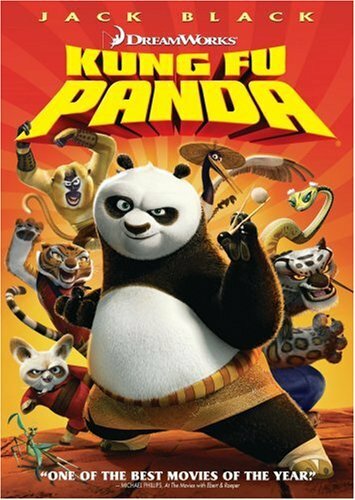 The five super-heroes and their embittered master, Shifu, are distressed at Po’s appointment, and Po himself doubts that he can overcome the leopard. He is especially concerned when he finds that the secret scroll to be given to the Dragon Warrior is blank. However, Po learns that the secret to greatness lies not in an external source, but within himself. Po defeats Tai Lung and brings peace to Shifu. In the sequel, Po is now recognized as a Kung Fu master, and teams with the Furious Five. They are now called upon to save China and Kung Fu from destruction at the hands of Shen, a peacock who has developed a weapon that seems to have the power to stop Kung Fu. Shen was once warned by a soothsayer that if he continued pursuing power, he would be stopped by a Panda. Shen thought he had eliminated all of the Pandas, but he missed Po. Po exhibits some identity issues. He somewhat disbelieves that he fits with his father. He also is unsatisfied with himself. In one powerful scene, he tells Shifu how difficult it is to be himself, and how badly he wanted to change himself into someone else. Also, Po has dreams about his birth parents, and his dreams show his worries that they replaced him with a better child. Tai Lung was found and raised by Shifu. Although adoption is not mentioned by name, Shifu took Tai Lung in, and raised him like a son. Shifu believed that Tai Lung would be appointed Dragon Warrior, but Shifu’s master Oogway saw darkness in Tai Lung. Tai Lung became bitter, turned on Shifu, and was imprisoned. He returns to his former home as a villain. Kung Fu Panda also shows interesting pictures of adoptive fathers trying to control the development of their sons into the image of the father. Po’s father, a noodle merchant, tells Po “we’re noodle folk.” Tai Lung’s father figure, Shifu, tried to mold Tai Lung into a Kung Fu master. Po’s father includes Po in his family narrative, saying that “we” are noodle folk, and ultimately giving Po the secret family recipe. However, Po’s father allows Po to have his own identity, as well. It is difficult for Po to share with his father that his heart was for Kung Fu rather than noodles; eventually, though, Po’s father shows his acceptance of his son’s identity, saying “That’s my boy! That big lovely Kung Fu warrior is my son!” By the end of the movie, Po is both an accomplished noodle cook, having earned rave reviews from the other Kung Fu warriors, and a masterful Kung Fu warrior. His identity incorporates what he was born with (Kung Fu), and what he was raised with (Great Soup), and his father accepts him for who he is. Shifu raised Tai Lung as a son, but in doing so pushed his own expectations onto Tai Lung. Shifu expected Tai Lung to become the Dragon Warrior, and filled his mind with greatness. When this could not happen, Tai Lung became embittered, and unsuccessfully attempted to gain the position by force. He was imprisoned for his actions. Upon his escape from prison, he confronts Shifu. To Shifu’s credit, he apologizes to Tai Lung for pushing too hard. Shifu realizes that the training methods he has used with other Kung Fu artists will not work with Po. Shifu figures out a training method that will work best with Po. Individualized parenting methods, rather than “one size fits all” approaches, are helpful for all children, and especially for children who joined the family after infancy, and who may have already developed patterns of interaction with parents. Figuring out how best to train and interact with a child is more effective than bemoaning the fact that a child does not respond to the way you’ve interacted with other children. Mr. Ping eventually does tell Po, timidly but directly, that he is adopted. The brief conversation that follows is excellent. Po responds, “I knew it!” His father asks who told him, and Po says no one did – implying that he’s always had some inclination. Mr. Ping then asks, “But if you knew, why didn’t you ever say anything?” Po fairly returns the question, “Why didn’t you say anything?” Although Po had inclinations that he may have been adopted, Mr. Ping knew at least some of Po’s story all along. This film also shows the depth of Po’s questions. After acknowledging that Po is adopted, Mr. Ping shares his early experiences of Po, and touchingly explains that the decision to raise Po as his son made his life much sweeter. Po insists, “There’s got to be more.” To Mr. Ping’s credit, he does not get offended, and instead tries to console Po, “Your story might not have a happy beginning, but look how it turned out; you got me. You got Kung Fu. You got noodles.” Sometimes, adoptive parents might want that to be enough to satisfy their children; because their life turned out well, they should be fully satisfied. (Sometimes, there’s not even Kung Fu or noodles. It’s just, “You got me.”) Thankfully, Po is honest here, and explains, “I just have so many questions, like … who am I?”) Mr. Ping’s response to Po’s question is poignant, “You’re my son… right?” Both Po and Mr. Ping are forced to question their most deeply-held aspects of identity. It’s possible that Mr. Ping’s reluctance to talk about adoption with Po stemmed from his desire to avoid having to question a cherished part of his identity as Po’s father. Po’s nightmare shows an inner fear that his birth parents replaced him with a better child; Later, Shen plays on this fear by telling Po that his parents did not love him. Even though Po already had suspicions that he was adopted, and even though it was obvious to Tigress that Po was not biologically related to Mr. Ping, the confirmation that he was adopted came as a shock to Po’s equilibrium. Po tries to ignore his negative feelings, much as any child might; he asks Tigress, “Is there any quicker way to not feel anything?” Po may have thought it would be easier – both on himself and on Mr. Ping – to try to pretend that there was no value in remembering the time before Po came to Mr. Ping. A sub-theme throughout the movie is Po’s quest for inner peace; he finally does find inner peace when he acknowledges and remembers his past, and integrates it into himself. I imagine that this might have occurred sooner if Mr. Ping had been open with Po from the beginning. A soothsayer affirms that Po’s parents did love him. This is helpful for Po to hear; he feared that they did not love him. The soothsayer encourages Po to remember his past, but then encourages him by saying, “Your story might not have a happy beginning, but it’s who you choose to be that makes you who you are.” After remembering his past, Po decides that he is the son of Mr. Ping. Po often feels like he doesn’t belong; he seems to feel that way at home, and he feels that way while training under Shifu. Tigress calls Po “fat,” and Po has already shown himself to be sensitive about his appearance. Kids who are struggling with their own appearance might find this a difficult scene, but Po does triumph in the end. Mantis provides a positive foil to Tigress, telling Po that he understands it’s not right to judge someone by their size. Po’s story is not likely to directly reflect the story of most adoptees. Po’s adoption happened quite informally. Many adoptions involve formal proceedings. Po’s adoption happened traumatically; Po was saved from an attempted genocide. It may be important to ensure that your child does not confuse their story with Po’s. Also, Po’s birth father is alive, well, and interested in Po, but living in exile. This may mirror some fantasies that adoptees might have: that their birth parents are alive, well, thriving, and only kept away by external circumstances. Age-appropriate but open discussions with your children can help them own their own story while helping them to avoid believing unhelpful fantasies. Tai Lung was found by Shifu; Shifu wanted Tai Lung to be made Dragon Warrior, but Oogway refused because he saw darkness within Tai Lung. There is no reason given for the darkness Oogway saw. Although Shifu later apologizes to Tai Lung for filling his head with thoughts of being the Dragon Warrior, Tai Lung does not accept his apology and instead remains an unmitigated villain. We aren’t given Tai Lung’s backstory. These aspect of the film might mirror the unfortunate and unfair expectations that some people have of adoptees to have deep-set character flaws. Thankfully, Po provides a foil to this, but adoptive parents watching the movie should be sure to prevent Tai Lung’s inner darkness from being accepted matter-of-factly. Po draws from his own healing to try to help another character heal from past wounds. In doing so, he tells that character that “the stuff from the past… just doesn’t matter.” This is a belief that some adoptive parents seem to hold about their children’s past. There’s an important distinction, though, between saying that “the stuff from the past” is unimportant, and saying that the “stuff from the past” doesn’t dictate who you will be in the future. The soothsayer’s advice is sounder than Po’s. It’s best when adoptees are allowed to view their past as important, but not as being fully determining of their future. These movies will most likely to appeal to families with children between the ages of five and twelve. They might be particularly helpful for kids who are having difficulty crafting their own identity out of their birth family and adoptive family histories, especially in circumstances where a child’s background is unknown or inaccessible. The message that the past does not determine the future is important, although it is important to ensure that the child believes the soothsayer’s interpretation (the past doesn’t determine the future) rather than Po’s (the past doesn’t matter.) Po’s acceptance of himself could provide a good example for these children. The first movie could also be helpful for parents to watch, with a focus on how Po’s father and how Shifu each treated their adopted sons. The second movie could be helpful to adoptive parents and prospective adoptive parents trying to decide whether to share openly with their child about adoption. Po’s path to inner peace did not displace Mr. Ping as father, and Mr. Ping might have helped Po reach inner peace sooner, had he opened up earlier to Po. o Po is trying to tell his dad what he wants, but couldn’t say it. Sometimes it’s hard for kids to tell the mom and dad that adopted them what they want. What do you wish you could tell your parents? o In the beginning, Po is dreaming of fitting in with the Furious Five. What do you dream of? o The Furious Five are Po’s heroes – they are who he wants to be like. Who do you want to be like? What do you want to be like? o Which of your kids’ attributes come from you? Which come from his or her birth family? o Po’s dad does a good job of allowing Po to be part of his new family (as a noodle cook, with the secret recipe! ), and completely himself (as a Dragon Warrior). Shifu struggled by trying to make Tai Lung into his own image without giving him room for originality. Later, Shifu did not want to share his knowledge with Po, because Po didn’t fit into Shifu’s expectations. How can you help your child be both part of this new family while still honoring the talents and interests from before you were a family? o How much of your story do you remember? What did you experience? What have you been told? o What parts of your story do you not know? What would you like to know? What do you imagine about the parts you don’t know? What do you hope is true? o When Mr. Ping and Po are first talking about Po’s adoption, each asks, “Why didn’t you say anything?” Whose responsibility was it to start the conversation? o Mr. Ping was very reluctant to acknowledge Po’s adoption. Sometimes adoptive parents are scared that discussing a child’s past will traumatize the child. Sometimes adoptive parents are scared that discussing a child’s past will call into question their legitimacy as parents. Why do you think Mr. Ping was scared? Do you (or did you) feel the same way about discussing adoption? What are you scared of, and who are you scared for? This is an excellent review. Nice detail into the protagonists and the antagonists.